Tables are pretty much the most important pieces of furniture in any Mediterranean house. When Alfie hit six months and we started to think about weaning, we got rid of the sofa, and crow barred in a small but perfectly formed table. We kept that table even when three diners became four and eating became an exercise in dodging surprising long toddler arms. 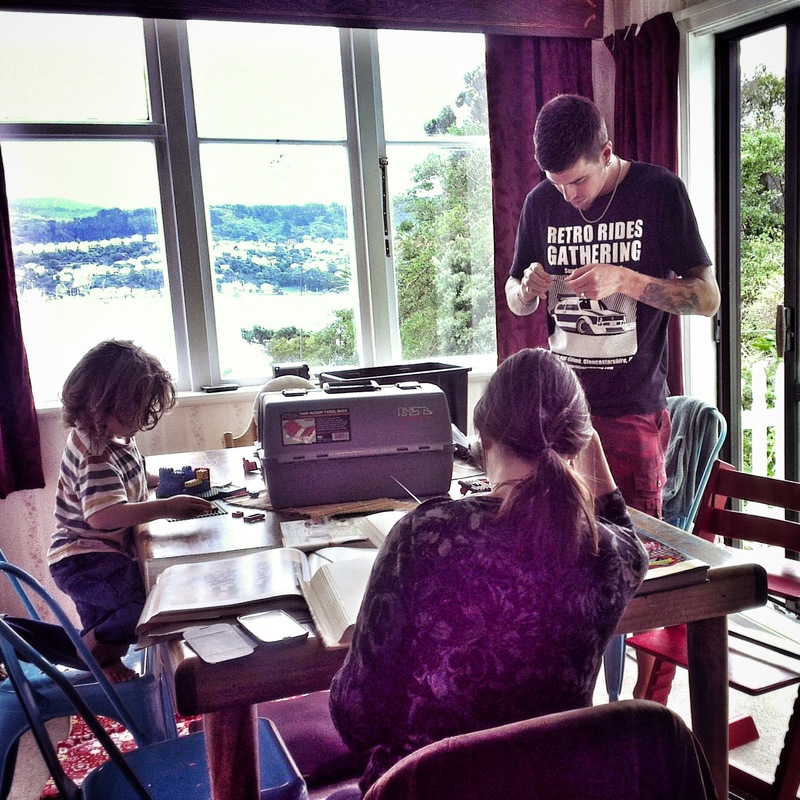 When we moved to Wellington, we had a chance to buy a more suitable table: Something big enough for us all to enjoy. I have read an interesting article recently challenging the traditional role of "dinner time" and the value of forcing everyone around a table three times a day. In my family, tables aren't just a place to rest your plate, they are a place to commune. A place for sisters to research cake recipes. A place for little boys to build houses. And a place for husbands to tie fishing rigs. That one word is why I resist the idea of giving up meal times. There are a million easy ways to disconnect from the people around you and precious few conscious moments where we, as a family, commit to put distraction aside and give our attention to each other. A mother's table (and where I come from it is always a mother's table) is the epicentre of that commitment. Absolutely brilliant piece Tash! Our table is a place to gather, talk, eat, read, listen and talk together as a family...and its certainly my table...I am the mother!